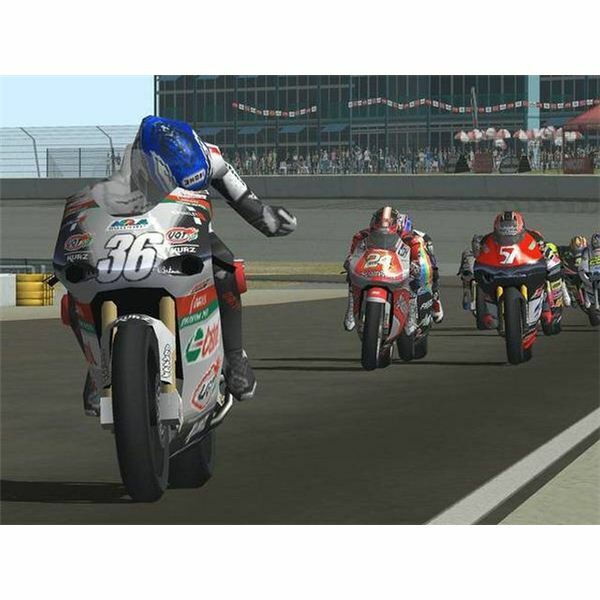 Have you noticed the lack of online Motorcycle racing games? 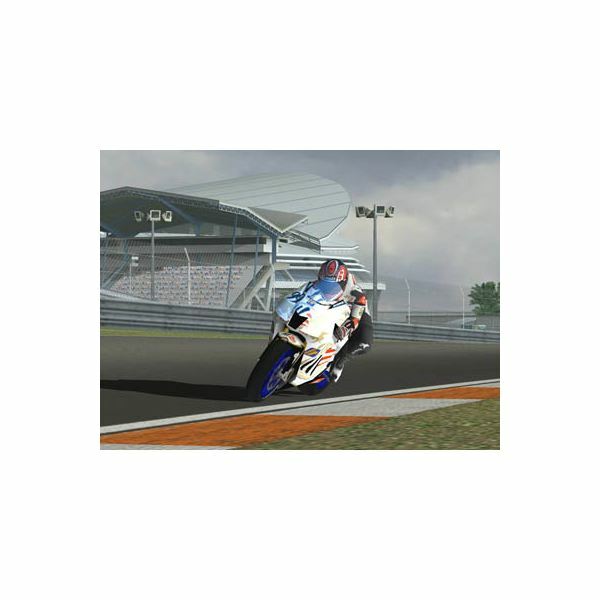 Have you ever felt like playing an awesome one, like the MotoGP games, online with your friends? 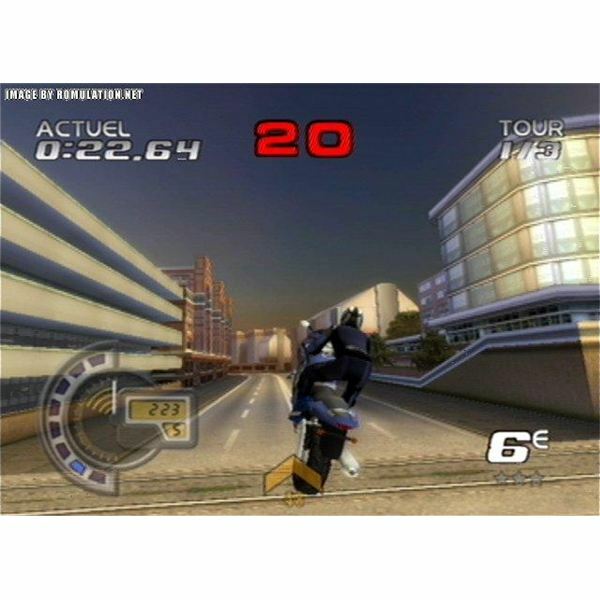 How many of you remember the 2003 game made by Climax group called Speed Kings? Well, Climax just so happens to be behind both the MotoGP series and Speed Kings. 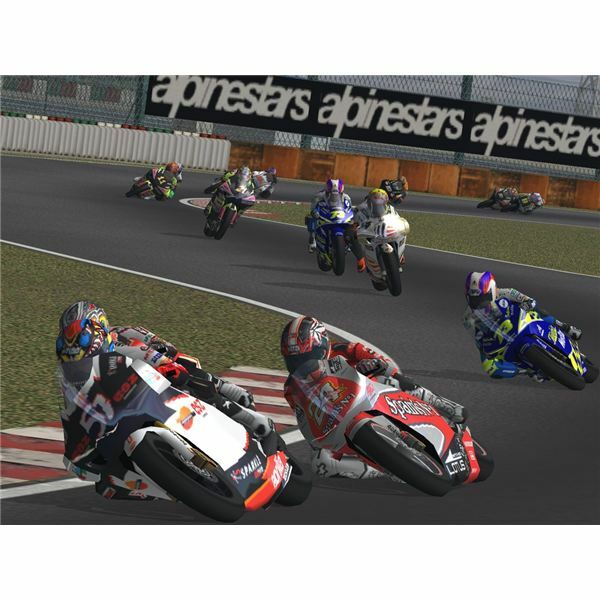 So what if you combined both Speed kings and the MotoGP games into a single game, and made it an online MMO so that you could play with other players from around the world? Well, we might just receive one of the most awesome Motorcycle MMO racing games ever made! If this really was an MMO, the game would need a detailed character customization menu to allow you to create a unique racer. You could choose gender, but it would not really matter because your character would never remove their helmet or racing gear. You would be able to choose what country you are from, your racing number, and a basic clothing template. From there you would be able to add more detail on to your clothes such as logos, numbers, designs, colors, and symbols. The design system would allow you to draw, rotate, color, stretch and shrink your designs so that you can pretty much create anything that comes to mind. Once your racer is complete, you would be able to customize your bike in the exact same way, but with a few added features. Your bikes could have the “upgrade” feature so that you can choose how your motorcycle breaks, how it accelerates and the top speed (gear settings), what type of tires are on the bike, suspension, and finally the wheelbase. Once you are done you'd be able to go out on the open road and start racing. Certain clothing and bike designs would have to either be unlocked through races or bought from shops as you progress through the game. At any time you can go back to the racer customization screen to edit clothing or change certain bike settings to match your playing style. In Speed Kings Online the whole purpose of the game would be to earn your way to the top of the ranking charts. How do you fight to the number one spot in the ranking charts? By earning more respect. The game would revolve around building respect and getting acknowledged by other racers and players to earn you your spot of fame. Respect would work like experience points, if you don’t have enough respect, then you won’t be able to compete in certain races, wear certain clothing, or use certain bikes. The game could also be a free to play MMO with a basic cash shop that would have bike parts to boots stats and performance, rare clothing, and one of a kind motorcycles to make your racer look more unique. Bikes and tires could have a “durability” rating, so if you crash a lot, or use one type of bike more than another, it would eventually began to wear down and then break. You would have to use your money to repair and upgrade your bike to make sure that it is in perfect condition. You could also drive around in a large open city to choose race locations, or drive to certain shops to buy new gear or upgrade your bikes, but you will never actually get off of your motorcycle, much like Ray City or Heat Online. Overall, the game would be a fun online racing game that you would be able to play with friends from around the world. The MotoGP races would be the main focus of the game, but you won’t be able to compete in all of the races unless you first pass a license test; think of these tests as leveling up to get stronger. The licenses would not would give you more respect, but would also allow you to be able to compete in more difficult races, which pay out more money if you win. The game would have all of the famous real life tracks like the Catalunya circuit in Spain, or Laguna Seca, with a few fantasy tracks like a basic round donut track so that you can always race at top speeds without breaking. You would be able to race against 16 other human players at one time and compete for money, respect, and fame. In the GP races if you ride up on the grass, or hit a wall or another racer, then you would be knocked off of your bike and penalized with your total race time. Having a bad race time or coming in a bad racing position would subtract how much money and respect you earn at the end of the race. However, if you drive perfectly and make every turn without any flaws, you never hit any walls or other players, and you finish the race by setting a new personal best record for that track, then you might gain bonus respect points and money at the end of the race. The GP races would focus on encouraging players to perfect their technical racing skills, to give the game a more realistic racing experience. 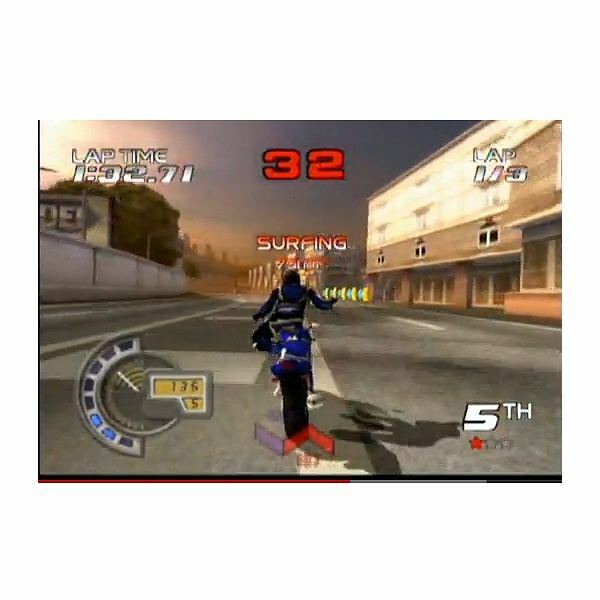 The extreme street races were always a lot more fun in the MotoGP games because the rules were a lot different from the grand prix; you could say that they were a bit more lax. The same rules would apply to the Speed kings MMO. So if you grind up against a wall and you aren’t going all that fast, you will slow down but not fall off of your bike. Riding on grass or not staying on the road will not give you a time penalty. And you will be able to slam into other players to knock them off of their bikes to help you get in the lead, or use Nitro to speed up and go faster. But unlike the MotoGP series, these street races will be a lot more intense. You would also be able to perform every single stunt from the Speed Kings game like flip the bike sideways and power down underneath trucks, poles, or fallen trees to slide the bike under dangerous road hazards without having to slow down or break, or leaning forward to perform an indo to slow down. If you want to earn more nitro then you would have to perform stunts like wheelies, handstands, or jump up and surf on your motorcycle using only your feet to steer. The more extreme the trick, the more nitro you'd earn. All tricks could earn you a small amount of respect at the end of the race, the more tricks you perform, the more respect you earn. If you perform really insane tricks like a corkscrew back flip and actually land it, then you would not only receive a full nitro bar to help you get in the lead and in front of the other racers, but also a X2 respect point bonus at the end of the race. Most MMO games have guilds for you to join, but Speed Kings Online would have street crews. After you earn enough respect and money, you would be able to create your own racing gang and logo. Street crews would be able to challenge other crews for respect and money, which earn you a lot more than what you would normally receive from grand prix or street races. When you challenged another Street crew you would be able to choose which racing modes you would compete in, so both the grand prix and the street races will be available for crew battles. There could also be special Street crew events that earn you one of a kind racing gear or custom made respect motorcycles for you and your guild members. After defeating all the other street crews in game and finally making it to the number one spot in the ranking charts, then you and your crew would be crowned the ultimate Speed kings. So what you would like to see in a Speed Kings MMO? Feel free to drop a comment or two below to share your thoughts and ideas. You can find more articles covering popular racing franchises like Gran Turismo and Forza Motorsport right here at Bright Hub. 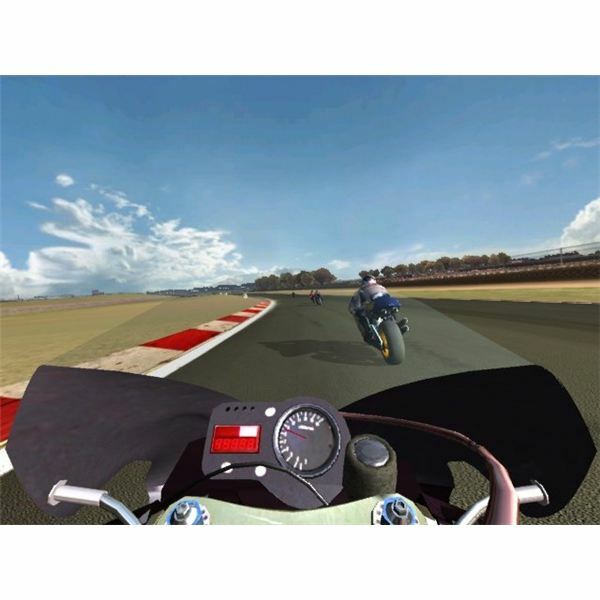 Original information and content contained within this article regarding Speed Kings Online or MotoGP Online is not representative of any existing game or licensed product from THQ or Capcom. A list of MMOs that could happen but haven’t happened yet.